We always recommend you stay in one of our preferred hotels when you attend any of our Routes events. Events in Focus are our only Official Accommodation Partner. Not only will you enjoy discounted rates, you’ll also find dedicated information desks where you can get advice and information on all the event details. MyTravel, working in Partnership with Events in Focus. For more information on the official hotels please contact Aimee Stevens at Events in Focus, aimee@eventsinfocus.net or please contact +44 (0)207 902 7763. Location – 2 mins walk from Durban International Convention Centre. 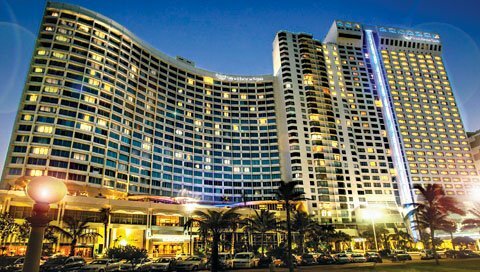 A landmark hotel in Durban, the Hilton Durban hotel offers deluxe accommodation and easy access to Durban's beaches and central business district. Stay connected with WiFi access and work efficiently in the business centre. Executive guests can enjoy complimentary breakfast and refreshments in the stylish Executive Lounge. The outdoor swimming pool and fitness centre also offer an ideal place to unwind after a busy day. 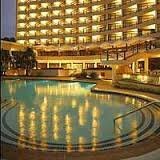 Location– 20mins drive to Durban International Convention Centre. 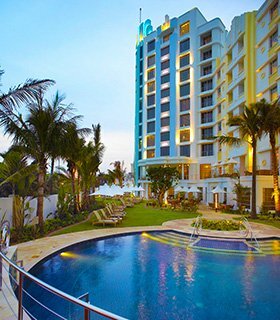 Located in the heart of Umhlanga Rocks, the Protea Hotel Umhlanga boasts stunning views of the nearby beaches and lush surroundings. Enjoy magnificent sea views from some of the rooms with stylish, elegant furnishings. Each air-conditioned room has a fully equipped kitchenette, satellite TV and separate bathroom. A delicious breakfast is served on-site every morning, while lunch and dinner can be ordered from a variety of nearby restaurants. Location – 20 mins drive from Durban International Convention Centre. 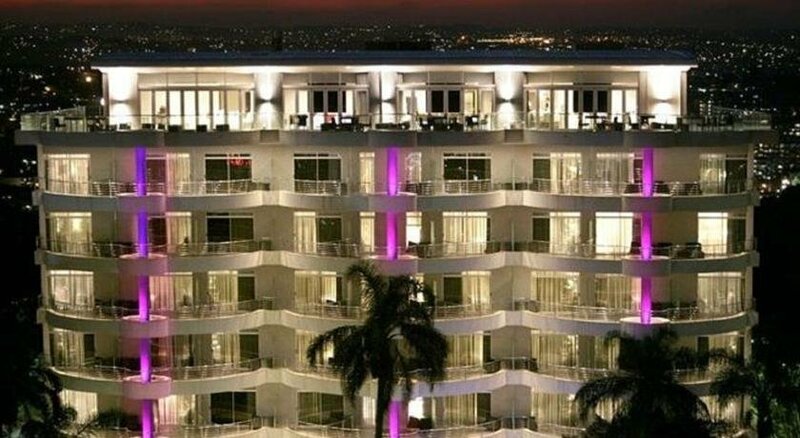 The award-winning Beverly Hills hotel, which is one of Tsogo Sun’s prestigious properties, opened her doors in 1964 and has since been considered one of Durban’s finest accommodation destinations by discerning travellers. Over the past 5 decades, the Beverly Hills hotel has been home to royalty, celebrities and captains of industry; the place where deals have been done and memories have been made. Location – 5-10 mins drive from Durban International Convention Centre. A rare example of South African's Art Deco, Hotel Edward overlooks the Indian Ocean from its position right on Durban's Golden Mile. 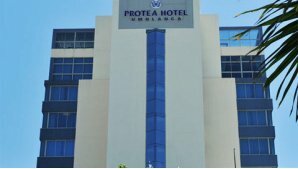 Guests will add their name to the long list of princes and presidents, millionaires and celebrities that stayed overnight since the Protea Hotel Edward Durban opened its doors in 1911. Facilities of the hotel also include a brasserie and a curio shop. Located 2 km from the centre, the Protea is set in an area of the city with a vibrant Indian feel. Location – 10 mins drive from Durban International Convention Centre. The Southern Sun Elangeni Maharani is situated on the spectacular Durban beachfront, overlooking some of the city’s finest beaches. Spacious en-suite rooms are beautifully furnished in a modern style, and are equipped with amenities such as air-conditioning, tea and coffee making facilities, electronic safe, 24-hour room service, porter service, wakeup facility and complimentary WiFi. Inspired by the charm and vibrance of the classic hotels of the world, this hotel offers 101 luxurious rooms, including 2 Exquisite suites. Nestled on the crest of The Ridge in Musgrave, this 6 story hotel gazes proudly over the city of Durban. Coastlands Musgrave Hotel has elegantly decorated rooms with a balcony overlooking the surrounding area. Each of the air-conditioned rooms has a flat-screen TV with satellite channels, a seating area, and a coffee maker. The stylish ground floor restaurant offers breakfast, lunch and dinner in a casual but elegant environment. Suncoast Towers provides a breath-taking view of the Golden Mile beachfront. A boutique hotel offering just 37 luxurious rooms, Suncoast Towers accommodation aims to provide a tranquil oasis amidst the hustle and bustle of the casino. Savour authentic Indian cuisine at our Jeera Restaurant, work up an appetite at our fitness centre, get to work with the help of our business and conference facilities and then head out for a night to remember at our world-class casino and entertainment world. Standing proud on Umhlanga’s beachfront overlooking the Indian Ocean, the Oyster Box is one of South Africa’s best-loved hotels. The Oyster Box has been meticulously refurbished, and superbly designed to provide the utmost comfort and style, whilst preserving all of its colonial charm – the exquisite tiles, murals, paintings and antique furnishings have all been retained in their original glory.